Chutney Devis is a Chicago-based, woman-owned food business that specializes in easy-to-make and healthy one-pot meals with a focus on South Indian cuisine. All ingredients are sourced from local farms and packaged in Chicago. All Chutney Devis products are vegan, gluten-free and have no soy, corn, added sugar, salt, added preservatives or additives. 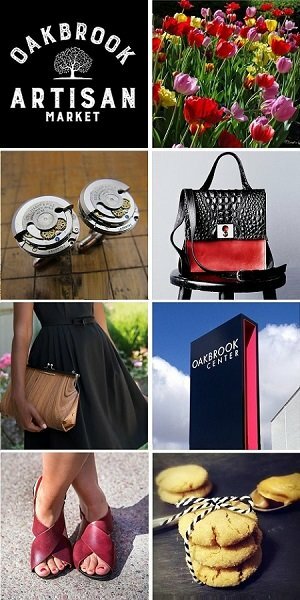 Co-founders Uma Vaiyapuri and Vineeta Santoshi will be at the Chicago Artisan Market at Morgan Manufacturing (401 N. Morgan St., Chicago) on Sunday, December 2, 2018 (10am-4pm) along with 100+ of Chicago’s finest artisans in food, fashion, home goods + art. Kitchari: Indian comfort food that is easy to make and is a one pot meal. It’s Ayurvedic*, comforting and delicious! The mix contains lentils, rice and a blend of signature spices. The recipe is on the back of the pouch, and it makes three generous servings. Lentil Soup: Ayurvedic*, delicious comfort food. The soup mix contains lentils and a blend of signature spices. The recipe is on the back of the pouch and it makes 3 generous servings. Signature Curry Powder: The curry powder is a family recipe with a twist. They dry roast all the spices and have shared a few recipes to get you started on the website. *Ayurveda (Ayur = life, Veda = science or knowledge) has been practiced in India for over 3,000 years. The belief is that health and wellness depend on a delicate balance between the mind, body and spirit. One of the key wisdoms Chutney Devis follows is that herbs and natural foods can heal one’s body. If you are not vegan, feel free to add you own protein (chicken, shrimp or sausage) to the mixes. Make sure the protein is cooked to the appropriate temperature. 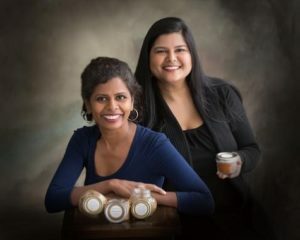 Uma Vaiyapuri and Vineeta Santoshi launched Chutney Devis (Devi means Goddess in Sanskrit) in Chicago in February of 2016. They specialize in regional, homestyle South Indian cuisine. They make all of their products in small batches in Chicago. Chutney Devis is a social enterprise, committed to empowering women and children and creating a healthier community. 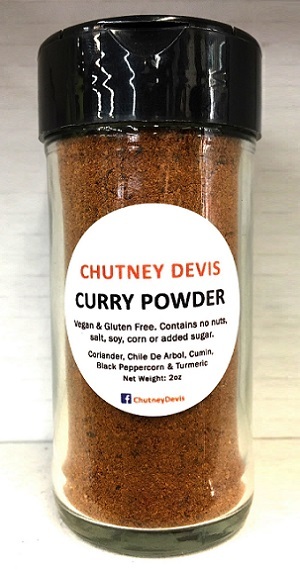 To learn more about Chutney Devis and view their recipes, please visit their website.